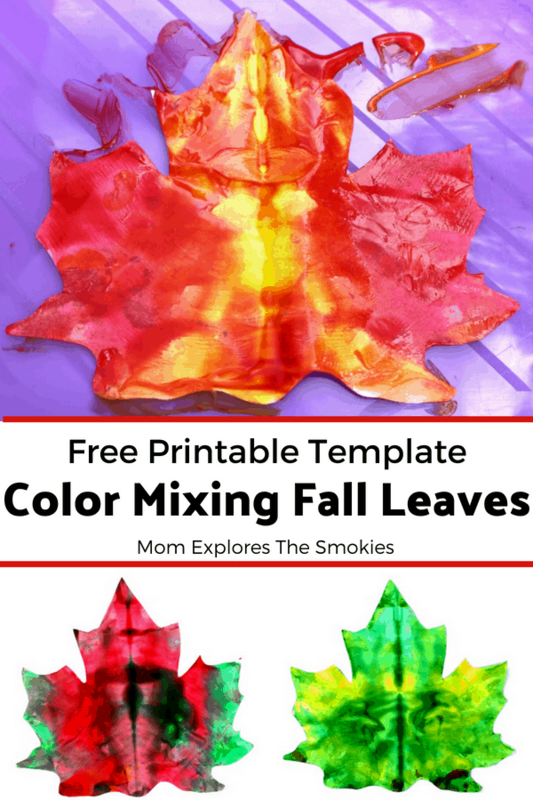 This fun fall leaf process art project brings the vibrant colors of autumn to life with nothing but paint and card stock. This activity teaches kids about coloring mixing and helps to build fine motor skills. 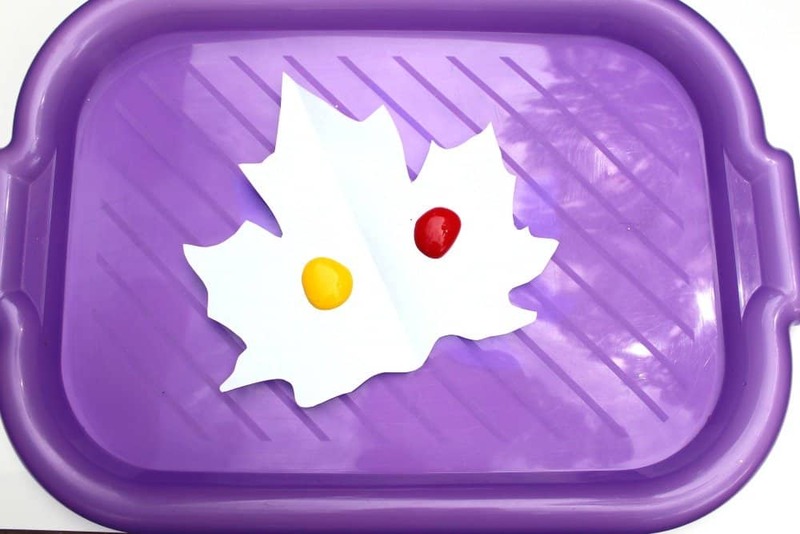 Cut the card stock into a leaf shape. Depending on how much time you have your kids can do this, or you can do it ahead of time. If you don’t feel confident enough to draw your own leaf, you can use this template that I used. I just printed it out and traced it onto my paper. It doesn’t look exactly the same, because I did make it slightly larger. To do this, I simply traced an inch or so out from the perimeter of the leaf. 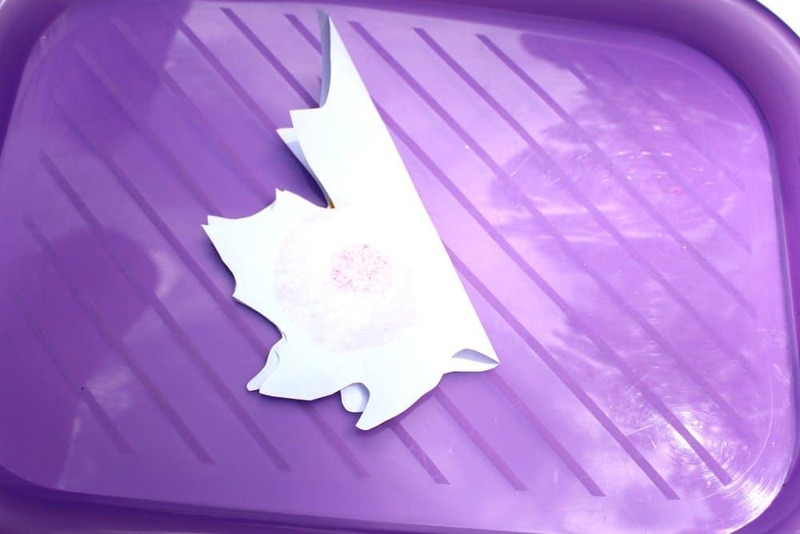 After the paint has been applied, fold the leaf in half again. 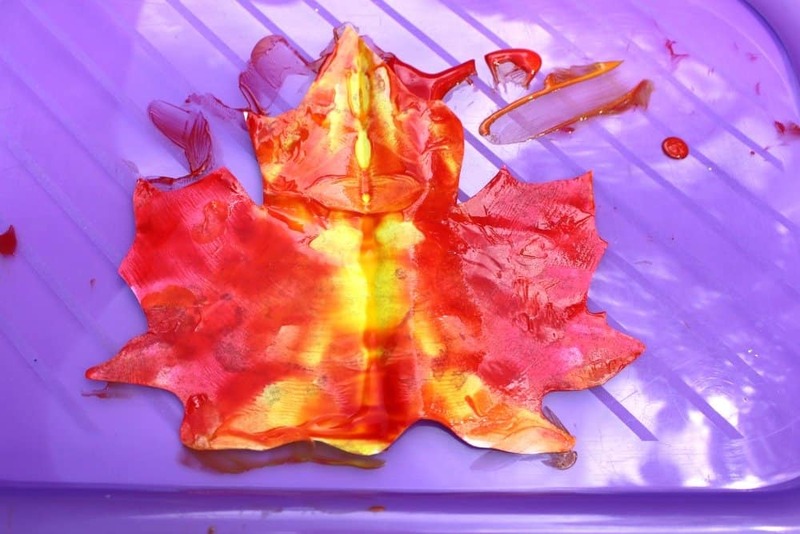 Then, holding the leaf in both hands, gently squeeze the paint around until the entire leaf is covered with paint. This is the messy and fun part! It’s also the part that helps to build and strengthen fine motor skills, through the squeezing motion. 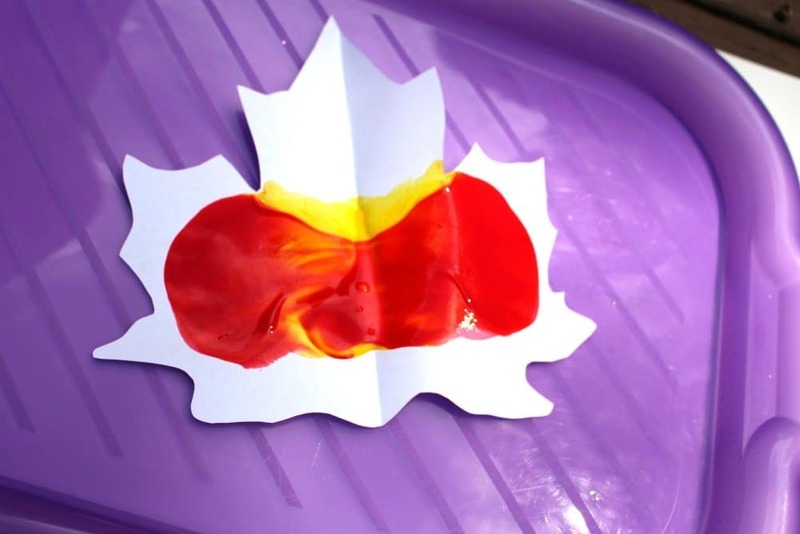 The kids will likely have to open the card stock, then refold and continue squeezing to make sure the entire leaf is painted. Very young kids may not have the motor skills or persistence to get the entire leaf covered and that is okay. Art is not perfect and it was never meant to be. Happy learning! Important Note: You must use card stock and not regular paper for this project. Regular paper will rip.